A Bay Area man who was out on bail after being accused of shooting at security cameras in San Jose last year, was arrested again for trying to buy and build a gun in Utah. Scott Budman reports. A Bay Area man who was out on bail after being accused of shooting at security cameras in San Jose last year, was arrested again for trying to buy and build a gun in Utah. 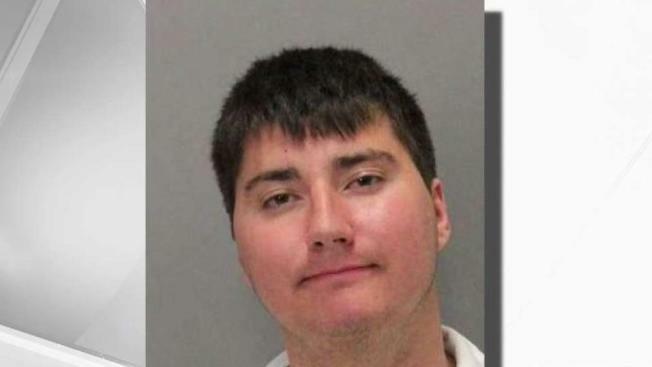 Nicholas O’Connor, 21, was accused of shooting at security cameras on the campuses of Willow Glen High School and Booksin Elementary last year. After being arrested and while on bail, he attended classes at Utah State University where officers say some of O’Connor’s fellow students were asked to help him make a gun. "They were approached and asked to have gun parts sent to their addresses after Mister O’Connor bought them anonymously," Mike Kuehn from the Utah State Police Department said. "They came forward and said, 'we befriended this individual and he approached us with a strange request,' he wanted them to buy gun parts, and pay them for that." Since making a gun was a violation of his parole, O’Connor was brought back to the South Bay, and sent to county jail with no bail. "It was important, especially given what's going on on campuses nationwide, it's important to be vigilant when it comes to gun crimes and gun violence," said Santa Clara County Deputy District Attorney Brian King. O’Connor has a court date on the original charges from last year in a couple of weeks.